Need a berry good idea for a classroom snack? These little ghosts are quick, easy, and cute! Melt the chocolate according to manufacturers directions. Hold on to the green top and dip a strawberry in the white chocolate. Do not shake the excess off. 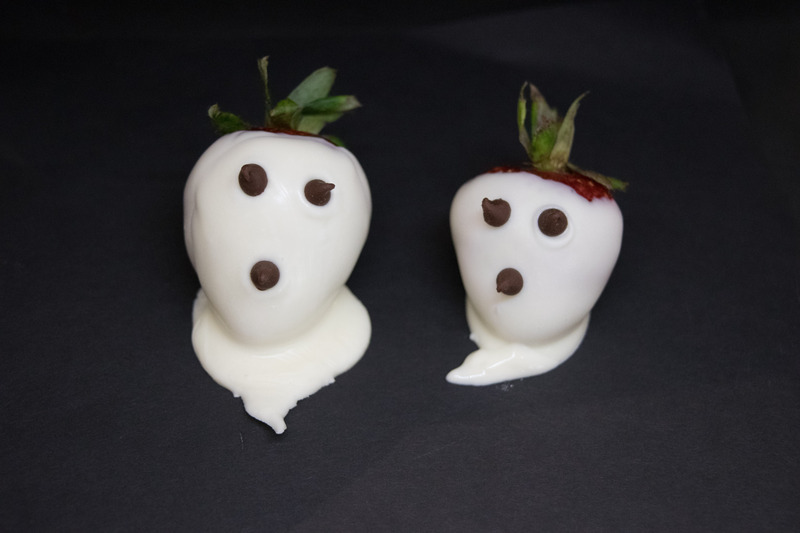 Coat well and let the excess drip on wax paper to form a little ghost trail before setting the strawberry down. Place two mini-chocolate chips on the ghost for eyes and another for a mouth. We had the best luck making three at a time. The white candy coating hardens quickly so make sure you put the chocolate chips on before it’s too late. If the chocolate hardens, you can dip a toothpick in the bowl of melted chocolate and dab it on the chocolate chip in order to affix it to the strawberry. 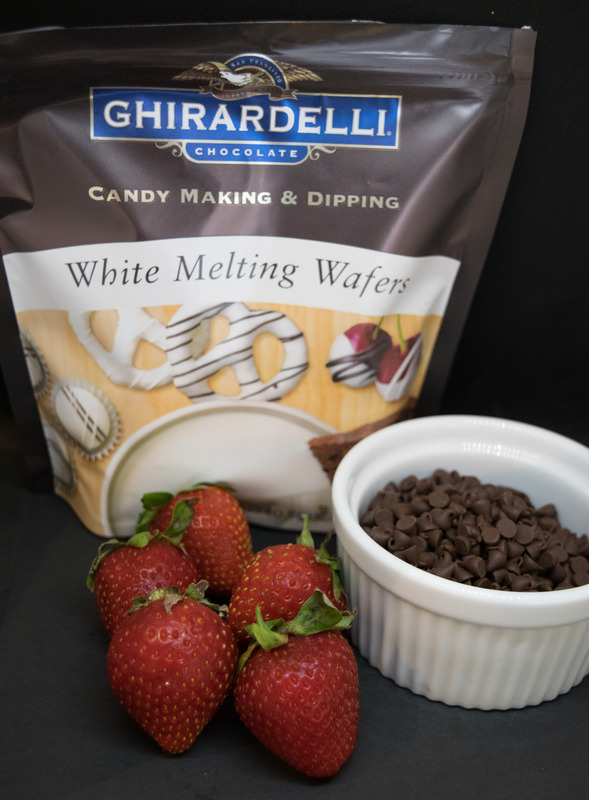 We used Ghiradelli White Melting Wafers and found them easier than Wilton’s. You can find them at Safeway. We have also used Candiquik with good results. Candiquik can be found at Target. Thanks to blog.candiquik.com for the idea. This entry was posted on October 12, 2015 by mdaucello in Halloween, Holidays, Recipes and tagged chocolate, classroom, ghosts, Halloween, snack, strawberries, treat.